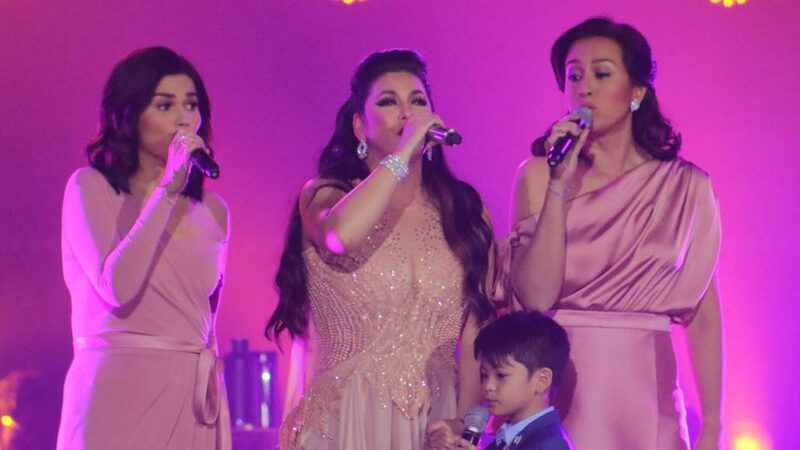 Regine Velasquez Had A 'Do Re Mi' Reunion In Her Concert. When you hear Regine Velasquez is going to have a concert, you drop everything, buy a get a ticket, and watch her performance. Over the weekend, in a packed SM MOA Arena, the Asia's Songbird celebrated her 30 years in the industry with a two-night concert series, R 3.0. Amidst the stunning costume changes, performances of Regine's classic hits, and countless celebrity sightings, it was the moment when she sang "I Can," the theme song of her movie Do Re Mi, that fans stood up and gave the loudest cheers. Not only did she get to perform the song with her five-year-old son, Nate, Ate Chona (as called by her fans) got us in fanboy/girl mode when Donna Cruz and Mikee Cojuangco, Regine's co-stars in the hit 1996 film, joined her on-stage. Over 20 years after Do Re Mi was first shown, the song proves to be an anthem for BFFs across generations. A fan-made poster for a reunion film even made rounds online last year as it celebrated its 20th anniversary. In an interview with PEP.ph, Do Re Mi creator and screenwriter, Mel Mendoza Del Rosario, spoke about the possibility of a sequel: "The idea really came from the fans. There really was a generation of Do Re Mi 'cult.'" She added, "So, maybe, enough clamor from fans might make Boss Vic [Del Rosario, VIVA Films producer] consider a remake."